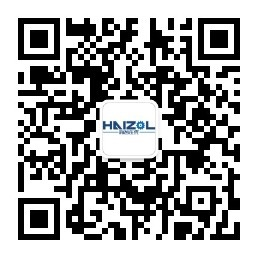 At Haizol.com, our goal is to protect your personal information submitted to us through our sites. We maintain administrative, technical and physical safeguards to protect against unauthorized disclosure, use, alteration or destruction of the personal information you provide on this website. We also employ reasonable technologies to help keep the personal information you provide on this site secure. 1)To contact you regarding our products and services by all contact information you have specified in your profile such as regular mail, email, phone and fax. 2)To provide customer feedback and support. 3)Marketing or promotional activities. Personal information may be collected to administer those programs. 4)To conduct questionnaires and surveys in order to provide new and better products. Your participation in any questionnaires or survey is voluntary. 5)To understand more about you, so we can personalize newsletters and Websites to your preferences. We strictly adhere to our company policy to not sell, trade or rent your personal information to another company though it is possible that we may merge with, acquire or be acquired by another company or that we might dispose of some or all of our assets. In this situation your personal information may be passed onto the new company, subject to a Privacy Notice in effect.